Be protected & see every detail in HD. A cutting edge & easy to use surveillance system with 1080p high definition video to see & protect your premises. The 48 features elegant styling with a solid red oak cover with brown cherry finish and satin brass finish tubes. The low voltage chime has a superior 2-note melody for the front entrance. The 50/M features contemporary styling with an off-white cover and satin brass finish tubes. The low voltage chime has a superior 2-note melody for the front entrance and an enhanced 1-note tone for an additional entrance. The HE-2219-CH features a chocolate wood cover with satin nickel inlay. The wired door chime features three Polyphonic melodies for the front entrance and an additional Polyphonic tune for a second entrance with adjustable volume control to suit varying sound needs. Polyphonic tunes are unique and offer a "multi-instrument" melody, whereas most traditional door chimes only offer a "single instrument" tune. Security System 8 Channel 1080p HD Digital Video Recorder & 4 Cameras Be protected & see every detail in HD. 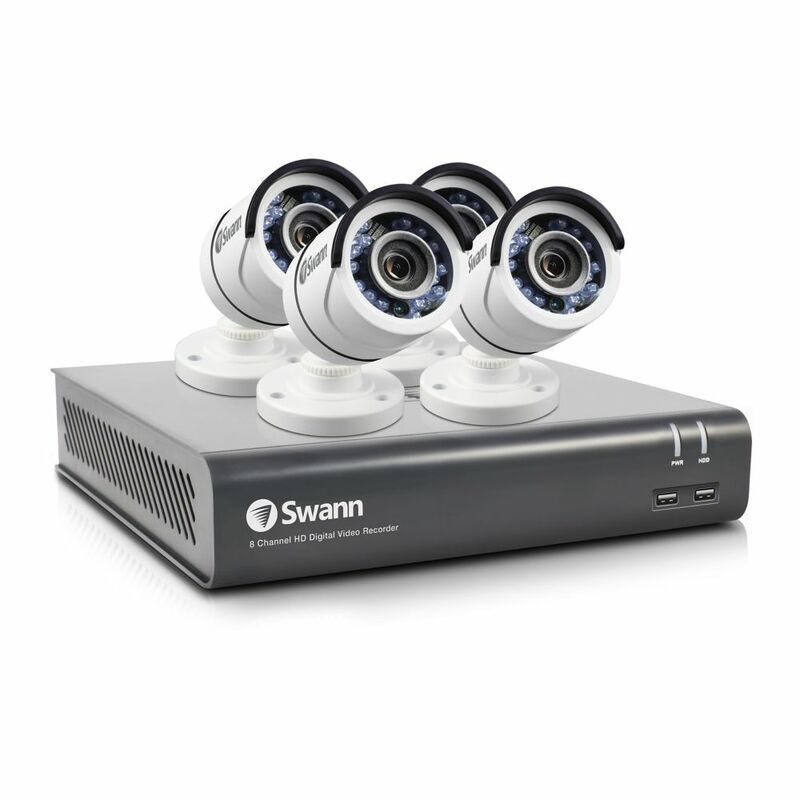 A cutting edge & easy to use surveillance system with 1080p high definition video to see & protect your premises.